I’m not crazy. I swear. But I just have to share something…or a few things. I introduce to you Big-Lonely-Doug. 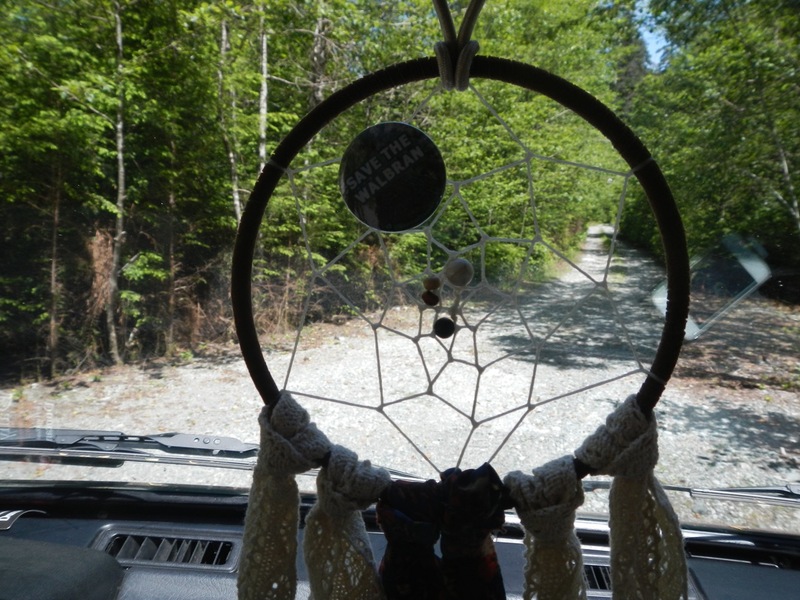 He resides along the Gordon River, mere miles away from my beloved Walbran Valley. I met him today for the first time. He’s a token, large, Douglas fir generously left behind by the ministry of resources, so that they can “rightfully” say that conservation is their number one priority. Well thank you large corporation with an agenda completely outside of your mandate to protect wildlife. Selective tree cutting – leaving behind a fair amount of trees, to mimic a thriving, healthy forest, with trees at various stages in life. Selective tree cutting – a noble concept, that could, in theory, on paper, on another planet, work. Take a look at the mountains around you BC’ers, and you will notice those mountains have had several buzz cuts where trees were completely wiped out. There is no one monitoring how trees are harvested. Take ’em all. Take half. That decision is completely left up to the forestry companies. But for the sake of argument, let’s say that decision was left up to the good-old Ministry of Forestry. Whoever is making the decision, our province is literally littered with clear-cuts. Someone, somewhere, is giving the ok for this. A complete eye-sore, and a disgrace to the earth. In the event that selective cutting did occur, the impact on the environment is still detrimental, with the soil completely butchered from the heavy machinery. That forest will never be the same. Second, third, and beyond generation cutting. Nope. Try all-generation-cutting, including 1st generation cutting, or old-growth as many like to call it. 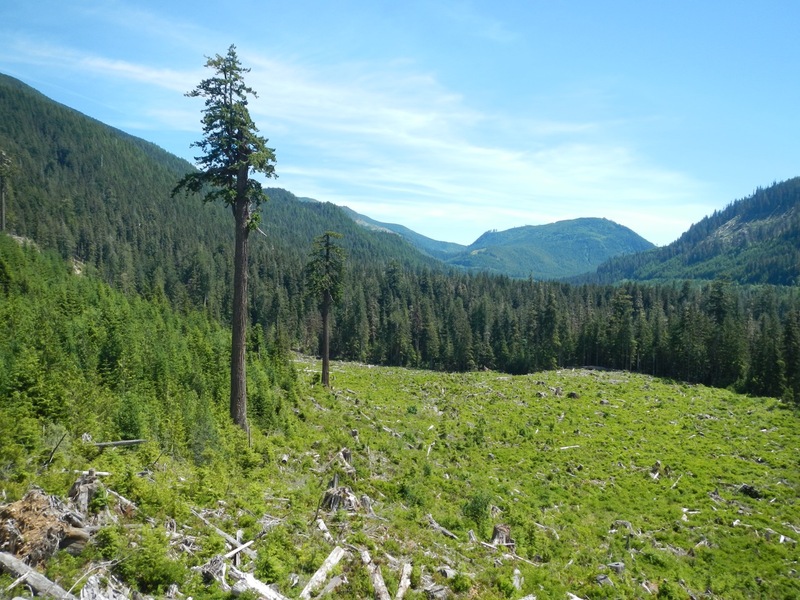 There is less than 10% of old-growth trees left on Vancouver Island, and there are STILL logging companies getting approval to cut it. There’s roughly 3 or 4% of old-growth forest protected on the island. That leaves 6 or 7% of our 10% old-growth open to the highest bidder. Yikes. Jobs. 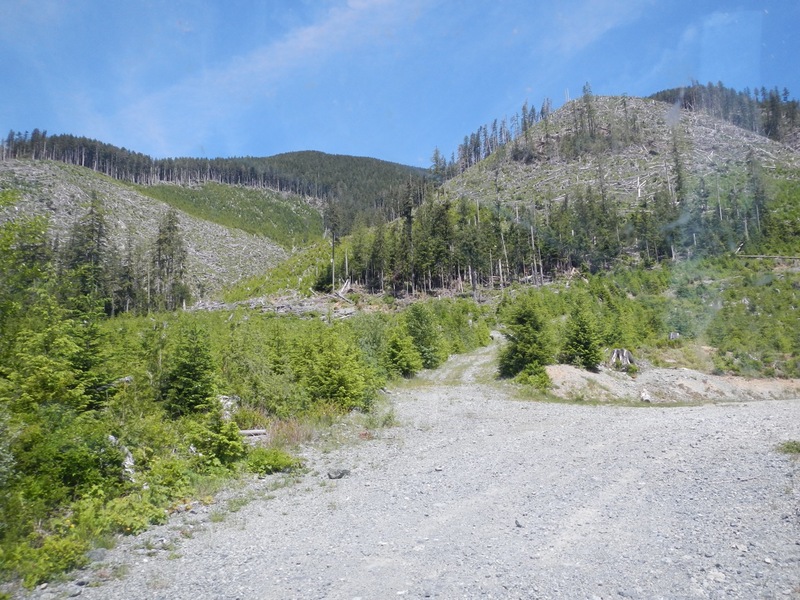 While forestry is BC’s legacy and heritage, it’s a dying industry as far as jobs go. Jobs have been declining rapidly, and it’s now almost completely irrelevant to our economy, at less than 1% of BC’s GDP. Our economy does not rely on this industry! Sometimes these things don’t really cut-deep because they feel completely out of our control, or sadder yet, we don’t really see the point in caring. Why should I care? How does that effect me? I am urging you to step outside of yourself. I could appeal to all sort of reasons as to why old-growth logging SHOULD matter to you (climate change and aesthetic and recreational reasons to name a few), but that’s only appealing to you, you, and you. Cutting down 1,000-year-old trees and destroying intact ecosystems MUST end. Believe me when I say that this is Canada’s National Treasure. Our provincial government has a obligation to protect the little remaining old-growth rainforest. I’m not crazy. I’m not even radical. I haven’t “gone the way of the hippies.” I’m a regular, working-class, BC resident, who just so happens to notice our destructive impact on the earth, and I’m calling for alternatives. Take notice my friends. Take a stand for what you care about, and put our democracy to full-use. You’re a voice. Make it loud of clear.